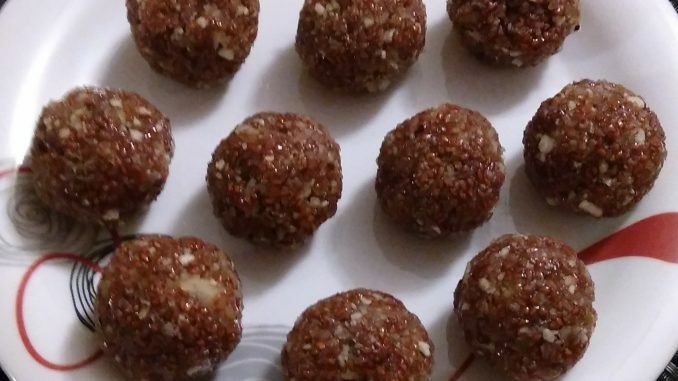 This is my innovative recipe that received a prize in Kalnirnay 2019 contest. Judges for the contest were Ms. Mohsina Mukadam, Ms. Alka Phadnis and Chef Nilesh Limaye. 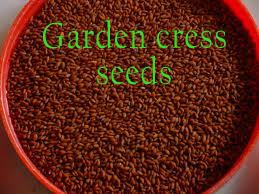 Aliv (Halim / Haliv / Garden Cress Seeds) laadoos are famous in Maharashtra. They are very nutritious. 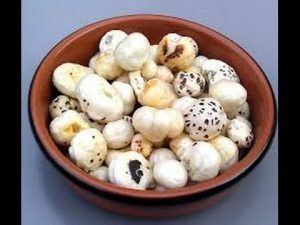 Makhana are puffed lotus seeds that are also nutritious but not eaten in Maharashtra. 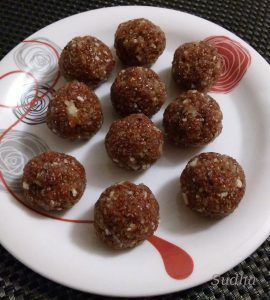 I added Makhana to traditional Maharashtrian recipe of Aliv laadoos. This makes these laadoos more nutritious. And it also gives better texture to laadoos. Traditional Aliv laadoos are very soft. Makhana gives it little stiffness. This is a fusion recipe of North and Western India. Aliv is an excellent source of iron. 100gms of Aliv provides 100mg of iron. Nutritionist recommend 1 spoon of Aliv to be included in your daily diet. Makhana has good amount of Protein & Calcium and is fibre rich. 2. Dry roast Makhana till crispy and leave to cool. Once cool, grind into a coarse powder. 4. 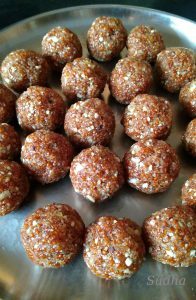 When mixture starts drying, add ghee, cardamom powder, dry fruits and mix. 6. Switch off the gas; add Makhana powder and mix. Leave the mixture to cool a bit. 7. When warm, roll bite size laadoo. 8. This can be a delicious mid morning/ evening snack. 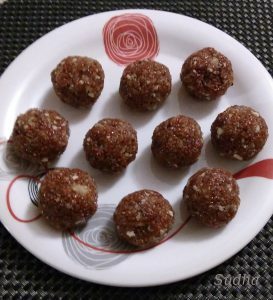 You can use desiccated coconut instead of fresh coconut. But the taste of laadoo will be little different. माझ्या ह्या अळीव मखाना लाडू रेसिपीला कालनिर्णय च्या पाकनिर्णय २०१९ स्पर्धेत पारितोषिक मिळालं आहे. ह्या स्पर्धेचे परीक्षक होते माननीय मोहसीना मुकादम मॅडम, माननीय अलका फडणीस मॅडम आणि माननीय शेफ निलेश लिमये. अळिवाचे लाडू आपल्याकडे खूप लोकप्रिय आहेत. अळिवाचे लाडू फक्त बाळंतिणीनंच खावे असं नाही. अळीव खूप पौष्टिक असतात. प्रत्येकाने रोज एक चमचा अळीव खावे असं nutritionists सांगतात. मखाना म्हणजे कमळाच्या बियांच्या लाह्या. ह्या उत्तर भारतात खाल्ल्या जातात. मी अळीव आणि मखाना घालून लाडू बनवते. ही फ्युजन रेसिपी माझं इनोव्हेशन आहे. फक्त अळिवाचे लाडू मऊ होतात. मखाना घालून लाडू छान खुटखुटीत होतात. १. अळिवात नारळ, नारळाचे पाणी आणि गूळ घालून एकत्र करा आणि ३–४ तास झाकून ठेवा. २. मखाना सुकेच कुरकुरीत होईपर्यंत भाजून घ्या. गार झाल्यावर मिक्सर मध्ये जाडसर वाटून घ्या. ३. एका जाड बुडाच्या भांड्यात अळिवाचे मिश्रण बारीक गॅस वर शिजवा. एक सारखे ढवळत रहा म्हणजे पातेल्याला चिकटणार नाही. ४. मिश्रण सुकले की त्यात वेलची पावडर,तूप, सुका मेवा आणि आवडत असल्यास चिमूटभर मीठ घाला व मिश्रण एकत्र करा . ५. गॅस बंद करून पातेल्यात मखाना ची पूड घाला व ढवळून घ्या. ६. मिश्रण कोमट असताना छोटे लाडू वळा. ७. हे लाडू न्याहरी ला, चहाबरोबर खायला द्या. हे लाडू ३–४ दिवसापेक्षा जास्त राहणार असतील तर फ्रिज मध्ये ठेवावे लागतात. Hi! For how long can we store these and do we need to refrigerate? These can be stored for 3-4 days at room temperature. If you want to store longer, store in refrigerator. Just take them out about 30 minutes before eating.